Teams are made up of 10 packers and 2 alternates. Teams made up of high school students and younger teens MUST have at least one adult on the team. Students under the age of 12 must have an adult with them specifically in order to pack. To make this day more of a fun and uniting team experience, iFeed is asking teams to participate in several team competitions. 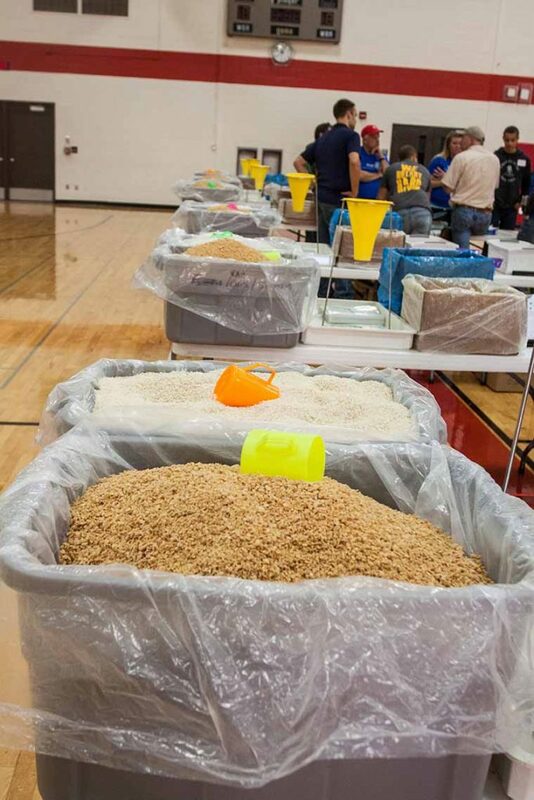 Your team will be judged on these by members of all five Interact clubs involved in iFeed. We encourage creativity and good spirited fun and ask that school guidelines be used (no fowl language, no references to alcohol and drugs, etc.). Team Apparel: For example: dress up, make team t-shirts, team hats, have a theme. Be careful though to not have glitter, feathers, that could fall into the food as you are packing. Hands will need to be washed and cleaned, so refrain from gloves or rings/jewelry. Team Cheer: It is tradition that after a team finishes packing a case of the dried meals (36 bags) to have a team cheer. This signals the volunteers palleting the boxes to come and get your finished case. Team Food Drive: Normally, teams pay for the privilege to package these meals. However, this meal packing was completely funded. Teams are asked to conduct a food drive before the day of iFeed and bring the collection that day. Food is counted on a per item basis. Thousands of children who depend on this food depend on YOU! If a team member is not able to make it on the day of iFeed, PLEASE bring a replacement. 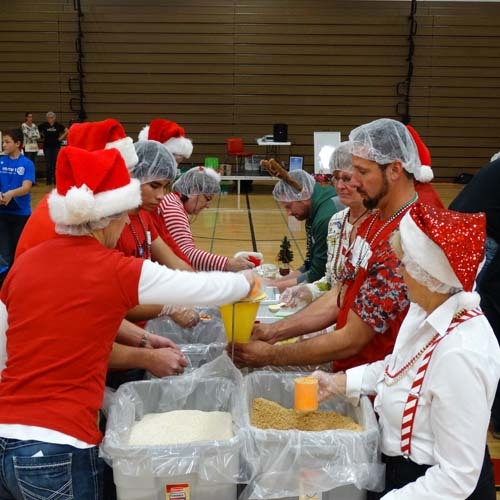 Alternates will be given various volunteer duties and are needed at iFeed as a relief packer in case one of the packing team members could use a break. Any team you can think of has a captain—so do meal packing teams! Your job as team captain is to check in with your team members, make sure they are ready to pack. Please make a copy of your contact so you have a list of your team members and their phone numbers. Come up with a team name, work with your team to create your team cheer and your team apparel. These are just a few things that will help make the meal packing event more fun and more a uniting experience.